Sandisk 16GB Extreme MicroSD Card. Includes SD card adaptor and Rescue Pro software. 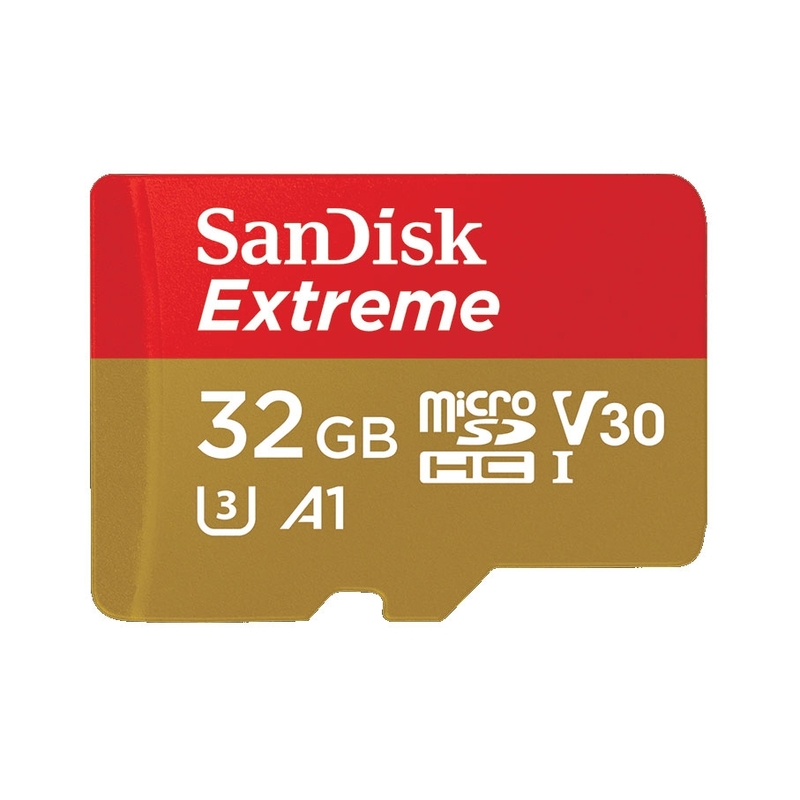 Get extreme speed and performance with the SanDisk Extreme PLUS microSDHC or microSDXC UHS-I Memory Card. The perfect companion for your smartphone, tablet, or camera, this memory card delivers Full HD video (1080p) recording and playback, and quicker data transfer. And because it has capacities up to 64GB, you’ll never have to worry about running out of storage space. Featuring read speeds up to 80MB/s, the SanDisk Extreme PLUS microSDHC and microSDXC UHS-I Memory Cards save time moving it all from the camera to the computer. Enjoy quick photo editing and smooth Full HD video playback. You'll also be able to transfer and retrieve files more efficiently. With capacities up to 64GB, SanDisk Extreme PLUS microSDHC and microSDXC UHS-I memory cards provide plenty of space for your videos, photos, music, games, and other memory-intensive files. Designed to protect your memories from life’s mishaps, SanDisk Extreme PLUS microSDHC and microSDXC UHS-I Memory Cards are waterproof, shockproof, and X-ray proof. They can operate in temperatures ranging from -13 to 185 degrees Fahrenheit. Take your phone, tablet, or camera to the mountains, the ocean, or the desert. 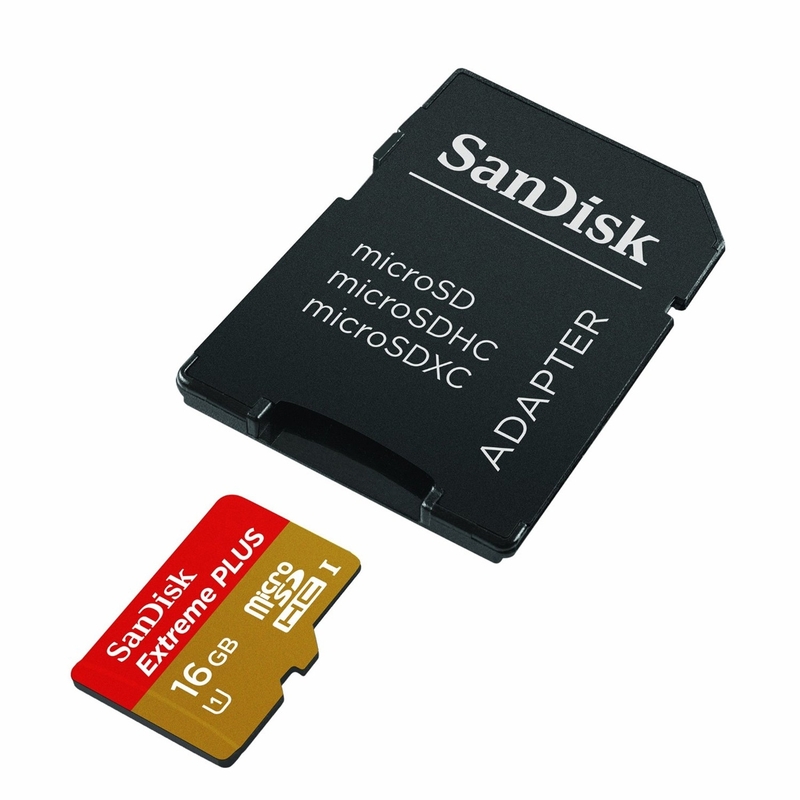 Even if your device doesn't survive, your SanDisk memory card will. 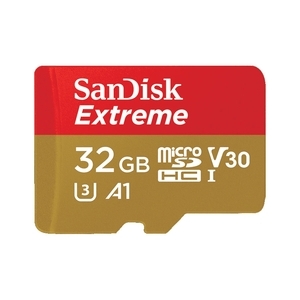 SanDisk Extreme PLUS microSDHC and microSDXC UHS-I Memory Cards are backed by a lifetime limited warranty. SanDisk RescuePRO® is a file and data recovery products for recovering deleted files from all types of digital media. They recover a variety of file types including images, video, documents, music and hundreds of other popular file types. Excellent Micro SD Card came free with the camera.